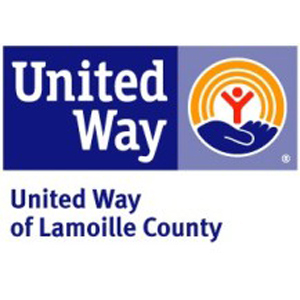 Lamoille County Mental Health Services (LCMHS) is a community mental health designated agency providing comprehensive mental health, developmental, behavioral, and family support services to the Lamoille Valley. Much of our work happens right in the communities where our consumers live—in their homes, in their schools, in their child care programs, in their jobs. We know that the best path to health and wellness is the one that ensures a full, meaningful life. A steady job, success in school, a solid support system with strong relationships and good friends, good nutrition and healthy exercise. Our agency is a non-profit 501 (c)3 organization founded in 1966. We provide a range of services to over 1,000 individuals each year, employ a staff of 250, and have an annual operating budget of $14 million. Our main office is at 72 Harrel Street in Morrisville. We operate two residential facilities, the Johnson Group Home and Copley House, as well as operating a non-medical, short-term detox for people in crisis due to alcohol or other drug incapacitation. Our school-based behavioral intervention and clinical supports operate in 22 local schools. LCMHS is an equal opportunity employer. All aspects of employment including the decision to hire, promote, discipline, or discharge, will be based on merit, competence, performance, and business needs. We do not discriminate on the basis of race, color, religion, marital status, age, national origin, ancestry, physical or mental disability, medical condition, pregnancy, genetic information, gender, sexual orientation, gender identity or expression, veteran status, or any other status protected under federal, state, or local law.